After the seemingly never ending Winter, Spring is finally here. It is the time of the year that really gets us eager to spend more time outdoors. Especially running, and what better way to kick off the Spring running season than with some new gear. 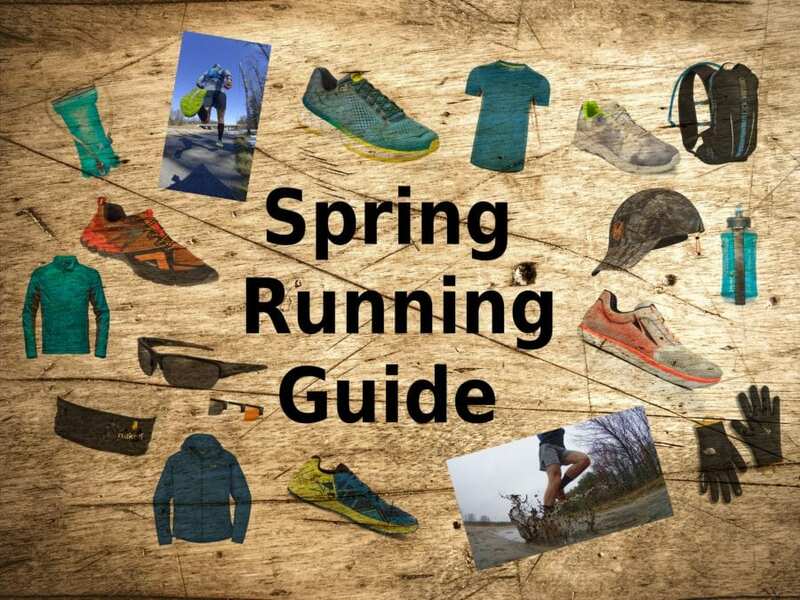 After testing out the latest Spring running products, we have narrowed down our top rated products into this Spring running guide to help make the transition to the warmer weather seamless. Your go-to running hat is far more than just a last-minute accessory you throw on before a run. It has been with you for more miles than most of your running shoes, but if you’re in need of a new one, look no further than the BUFF Pack Run Cap. Ultralight and ultra smart, the Pack Run Cap is built to go the distance. Super streamlined, exceptionally light and highly compressible, it’s comfortable for the long-haul, but can easily be folded and rolled to stash in a pocket. The four panel design and stretch materials hug the head for a secure fit that doesn’t bind, while a low profile sweatband provides moisture control without added bulk, and the polyester materials wick away perspiration. 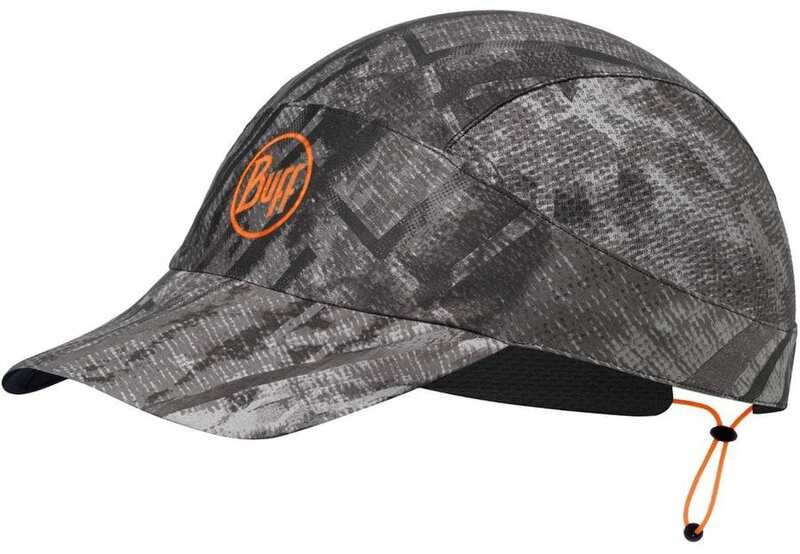 The crushable polyurethane brim snaps back to shape and combines with the UPF protective materials for sun protection on long races and extended training days. Even the hottest days will be no match for your running deftness when you’ve got the BUFF Pack Run Cap providing coverage. Don’t let the early cold mornings sideline your running routine—run through the colder Spring months with The North Face Flight Touji Jacket. The Flight Touji is insulated throughout the body with Primaloft insulation to keep your core warm, and it has a DWR fabric finish throughout the rest of the jacket to combat wind and moisture. Two zippered hand pockets give you a place to warm your hands or stash a few energy gels on those longer runs. Reflective 360-degree details provide extra visibility in low-light conditions. Running in Spring weather can be a crapshoot—welcome the touches of warm temperatures, punctuated by bitterly cold breezes left over from winter—leaving you at a loss for what to wear. Outdoor Research has come up with the solution for running in these temperamental conditions by developing the Tantrum II Hooded Jacket. 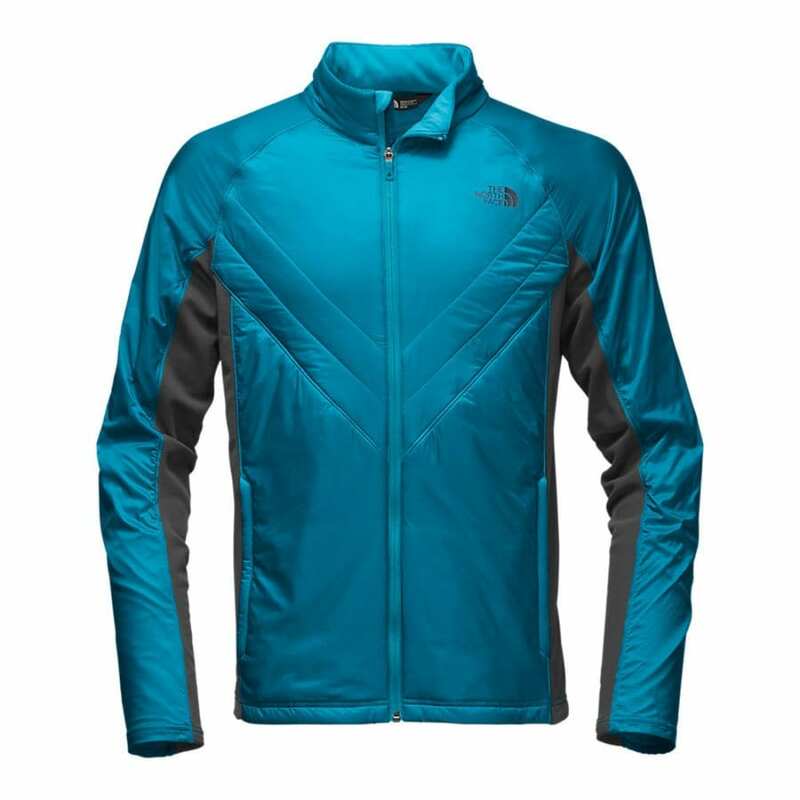 Wind-resistant and breathable, this running jacket brings you protection from chilly winds and light precipitation, while the zip design and breathability, add comfort when the wind dies down. This windbreaker does more than just guard against less-than-ideal weather conditions; its movement-mirroring stretch lets you shift and flex on the move, while nylon 20D ripstop adds durability against trail debris. Thumb loops and an elastic draw-cord hem let you cinch down its length for extra protection, and a zippered chest pocket doubles as a stuff sack so you can stow, carry, and whip out this 4.7-ounce wind shell whenever it’s needed most. 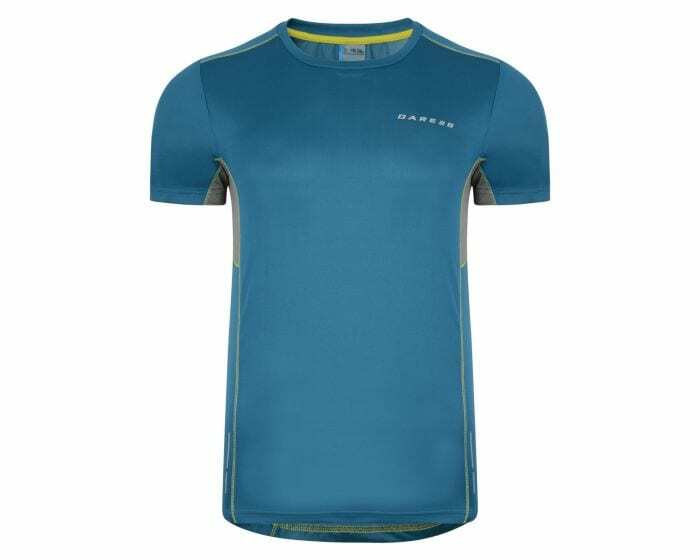 You know you’re bound for adventures and cool runs when you wear the Dare 2 B Unified T-Shirt. A short sleeved technical tee with a crew neck. Made from heat-busting, sweat-wicking, BODY fabric that’s supremely soft and light to wear. Stretchy and odor-resistant. Whether you’re in the gym, running at high noon, or exploring a new trail system, the Unified T’s breathability, wicking qualities, and antimicrobial nature will help you stay happy and smelling fresh. The Brooks Sherpa 7″ 2-in-1 Shorts are lightweight, quick-drying, and come equipped for the long-haul. 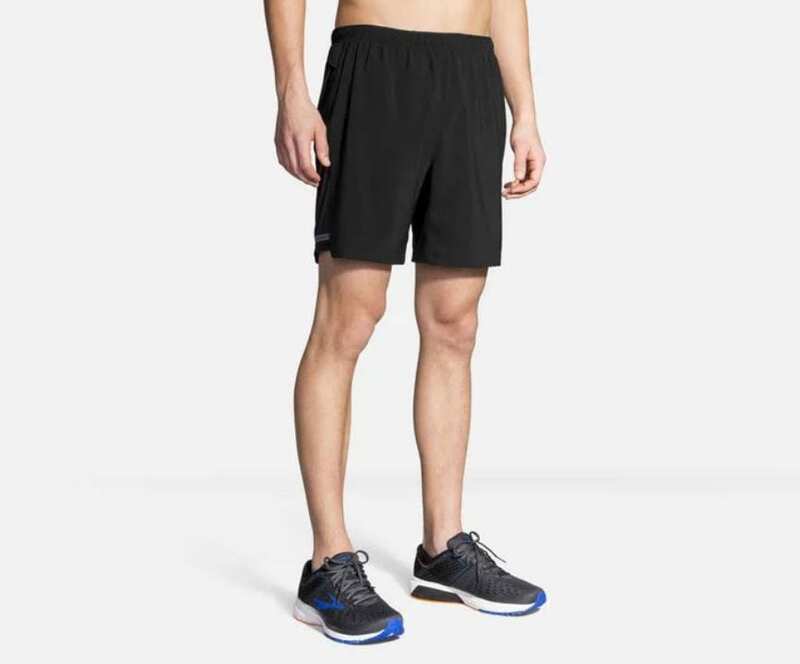 Designed for distance runners who have time and mile count in mind, these shorts have an internal and external storage options to keep your essentials safe and stowed securely while you push the pace. An integrated form-fitting liner offers extra support for your undercarriage when you set out on your runs or intense workout intervals, and they wick sweat to keep you cool and dry. Side ventilation panels boost breathability for extra comfort in the midday heat. The Brooks Sherpa 7″ 2-in-1 Shorts are built for the long haul, with the lightweight comfort runners crave. When your sanity depends on a daily run, you can’t afford to let cold Spring weather keep you inside. 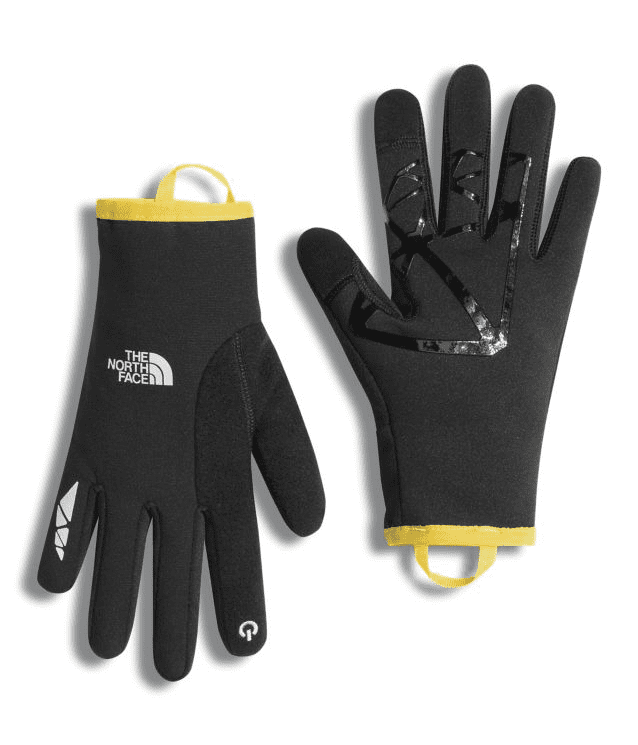 The North Face Runners 2 Etip Glove gives your hands the needed protection to get outside. Breathable, mid-weight weather-resistant fleece protects your digits from unpleasant climatic environments. The Etip pads on the thumb and forefinger allow you to operate your phone without taking off the gloves. Now you can take that trail selfie without the cold hands. Take matters into your own hands with the SF500 Handheld SoftFlask. The 500ml Softflask offers easy-handling hydration for long-distance athletes and serious runners alike. Designed for the minimalist runner, the SF500 is easy to hold with a flexible hand strap. It has a leakproof auto-shut off valve, twist locking cap, high-flow bite valve and a 42mm opening, so it’s easy to fill. Its locking cap and bite valve provide efficient drinking with minimal effort, which is especially important on grueling runs and distance efforts. From high-mileage training sessions to race day, the Naked Running Band carries everything you need to finish your run strong. The high-performance mesh band moves with you as you run. 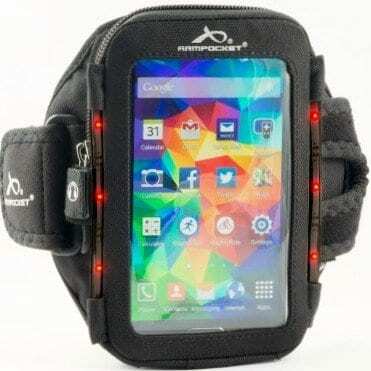 The high-capacity 4-way power mesh securely stows everything from a smartphone to soft flasks, while the two silicone backed elastic straps can carry trekking poles or a lightweight windbreaker or rain jacket when the chance of foul weather seems imminent. The Running Band is light, breathable, bounce-resistant and incredibly versatile; all the while providing next to the body comfort that doesn’t compromise your flow of the run. Unlike other products on the market, it is not limited to one brand/model of flask and can carry multiple bottles of different sizes (e.g. 6 oz. hard shells, 500ml collapsible, etc. ), depending on your training/racing needs and preferences ( flasks not supplied). Uniquely, it can hold any model of the newest large format smart phones, up to an iPhone 6, Blackberry Passport, and Samsung Note. Its pockets can securely hold many other accessories, including energy gels and bars, keys, sunglasses, headlamp, even a banana! On the back (or actually wherever you choose to wear it! ), are two silicone backed elastic straps designed to carry your rain shell that also doubles as a secure trekking pole carrier. It features built-in race number shock cord attachments (gone is the fumbling with “safety” pins at 5 am…) and a key hook for expensive key fobs. Naked® running band’s total capacity is a whopping 3 liters. Above all, nothing bounces or shifts while running – all while remaining comfortable. Because of its unique weight distributing exo-skeleton and quick-drying power mesh fabric (and lack of belts and buckles) there are no “hot spots”, crucial for long-distance events. At a scant 2.3 oz it is super light weight. 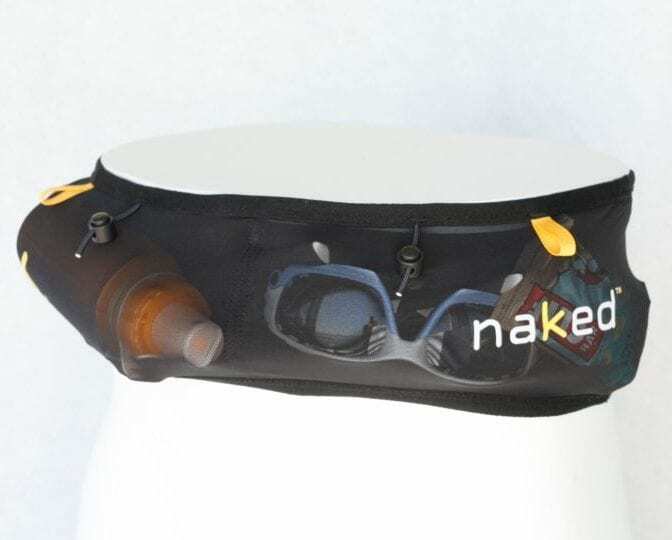 Naked® running band has proven performance for carrying hydration flasks, accessories and other stuff in ultra trail, marathon and triathlon training and racing. 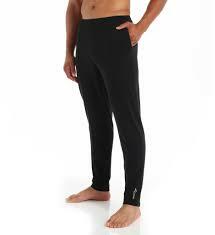 It comes in a full range of sizes 1 to 12 (28″ to 39″ or 71 cm to 99 cm). 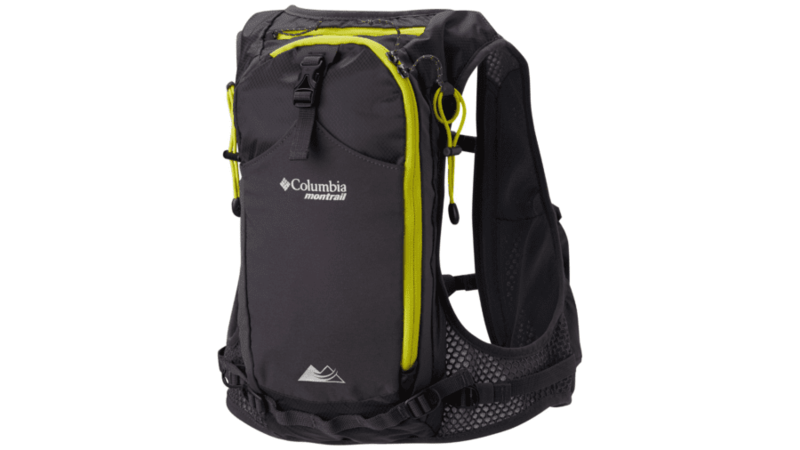 Comfortably carry the bare essentials with you on your next run with the Columbia Caldorado 7L Running Pack. Built to make the most out of its small design, this true vest-pack provides bounce-free stability and functional comfort as you tear down the trail. 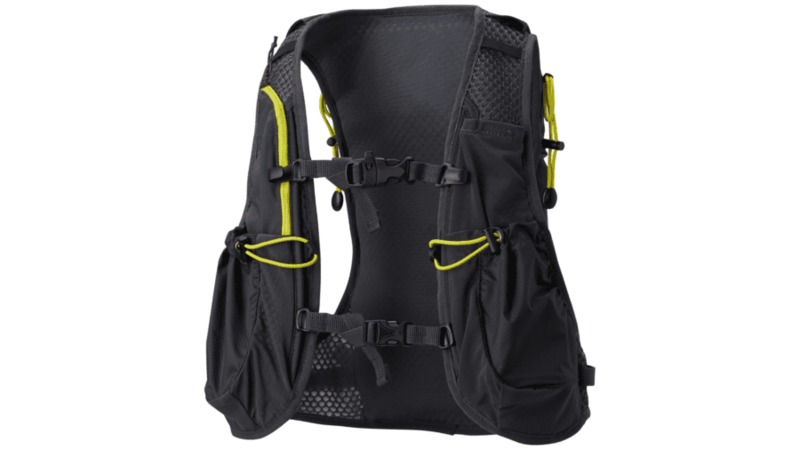 Crafted of durable Diamond Rip PU coated nylon with 4-way Comfort Stretch, this 7L hydration compatible vest pack is a trail running essential. Featuring an adjustable hip belt, sternum strap with rescue whistle, front stretch woven pocket, woven side water bottle pockets, trekking pole attachments, and internal security pocket to stash valuables. Once it’s snug, the straps won’t loosen up on you, while the nylon and mesh construction will help you stay cool during high-output activities. 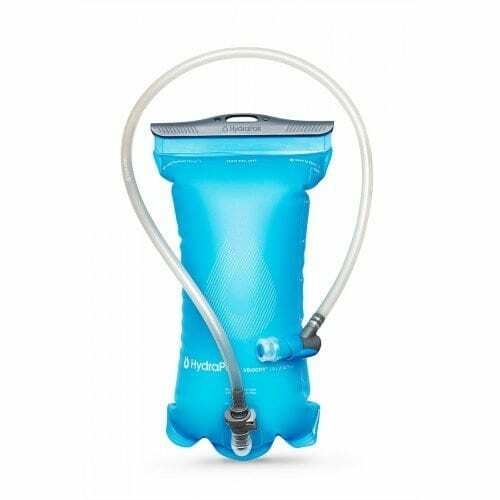 Like any good hydration pack, the Caldorado has both options for a hydration reservoir and dual front bottle holsters. Carry just enough with this lightweight, trail-friendly vest. 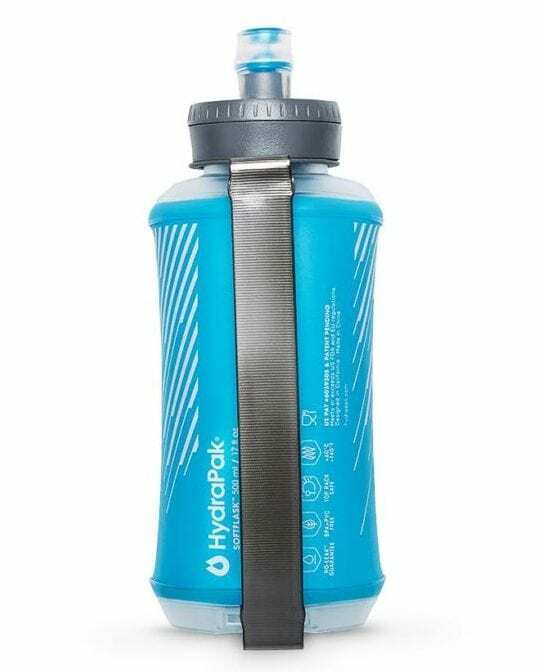 While the Columbia Caldorado 7L Running Pack does not come with a hydration bladder or bottles, I found the HydraPak Velocity 1.5L reservoir and the HydraPak SoftFlask 250’s were the perfect fit. 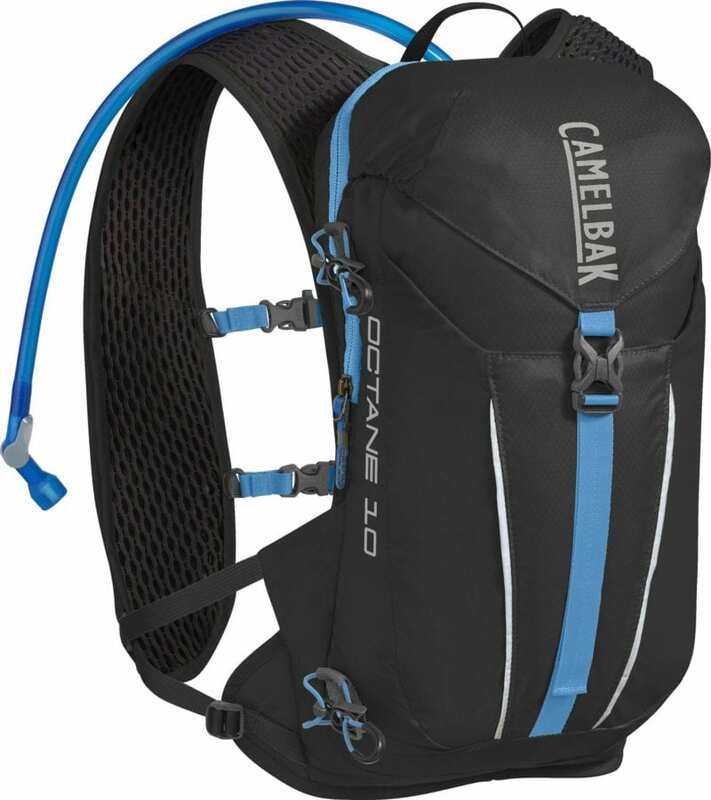 Trail runners know the importance of going light for the long run, while still wanting to carry everything that is needed, all too often comfort gets overlooked, not with CamelBak’s Octane 10 Vest, it is designed to avoid the rubbing and bouncing that’ll drive you insane out on those runs. 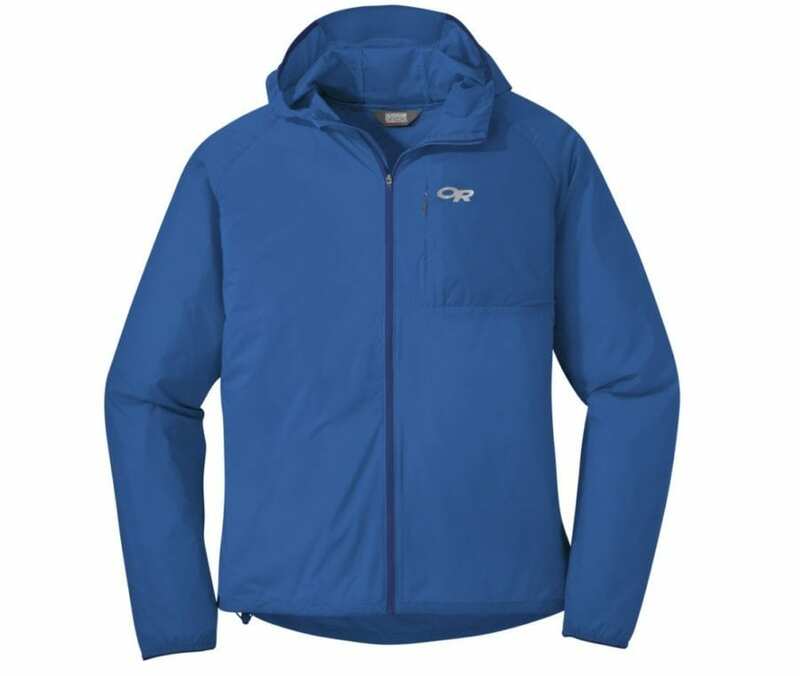 The nylon ripstop fabric has a water resistant coating that will repel water and so it doesn’t get heavier, the foam back panel is made from comfortable and breathable 3D Vent Mesh to help you stay cool. Of course, the point of the Octane 10 is to carry stuff, so it has a main top-loading compartment, stretch bottle pockets, and multiple stash pockets to hold energy gels, sunscreen, and other small but essential items. 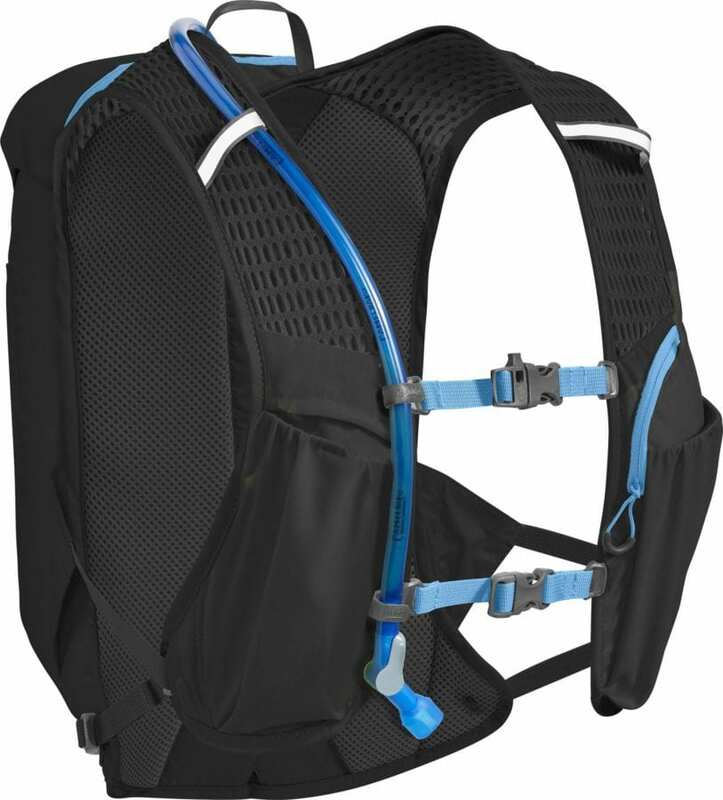 There’s also the 2L CRUX™ Reservoir for easy drinking and faster refueling, and the whole package is locked down with compression straps to prevent bouncing and keep your gear close to your body for better balance and increased pack stability on those extra-long runs. With 10-liters of compressible cargo space and the 2-liter Crux™ reservoir, the Octane™ 10 is a multi-task, multi-sport workhorse. Perfect for extra-long unsupported runs, daily commutes or short fast-packing trips, it’s designed to carry tons of gear and keep athletes prepared for anything mother nature might challenge them with. Need more than the 2-liter reservoir? Simply stash an additional Quick Stow flask in one of the perfectly sized pockets. Want to keep your rain shell or layers handy? Slip them into the stretch overflow pocket. Bringing your trekking poles? There’s a spot to attach those too. The Octane™ 10 is truly ready for anything you can throw at it. Or in it. Ultra-light, compact and rechargeable, the Uco Air Headlamp is a simple and effective lighting solution for everything from dawn patrol runs to streaking into the night. It projects 150 lumens at full blast, which provides ample illumination for a wide variety of low light to no light circumstances. The Uco Air also provides a red night vision mode for reading those navigation maps without incinerating a halo in your retina. Tipping the scales at a measly 1.6 ounces, it’s barely noticeable when you’re running and navigating after dark. The AIR headlamp is one of the lightest, most comfortable options on the market. This budget friendly headlamp is powered by an internal, rechargeable Li-Ion battery, which means you never have to buy batteries again. The Precision Fit strap is a highly adjustable, fully stitched neoprene strap that won’t slip, won’t constrict and won’t stretch out over time. Let the AIR light up your world without burning a hole in your wallet. The FL75R Headlamp is Coast’s first rechargeable headlamp in the powerful FL series built for runners and adventurers pushing it before dawn and after dusk. The FL75R is packed with the Flex Charge Dual Power system that allows for the rechargeable battery pack to be recharged inside or outside of the headlamp using a micro USB. The Dual Power system allows for it to run on Coast’s custom rechargeable lithium battery pack or standard alkaline batteries. Stacked on the front of the lamp is a Pure Beam Focusing LED spotlight that gives the ability to shine a 530 lumen ultra wide flood beam and then quickly twist the bezel to a long reaching spot beam with transition halo, providing visibility for up to 511 feet into the darkness ahead. Flanking the Pure Beam are two red night vision LEDS that can accommodate everything from nighttime map reading to lacing up your shoes at four in the morning. Also included is the reflective safety strap that allows for 360 degrees of visibility. The FL75R Headlamp is impact and weather resistant and its LED is virtually unbreakable. When you’re outdoors, constantly pushing your body to the limits, your eyes need top-performing optics and protection. 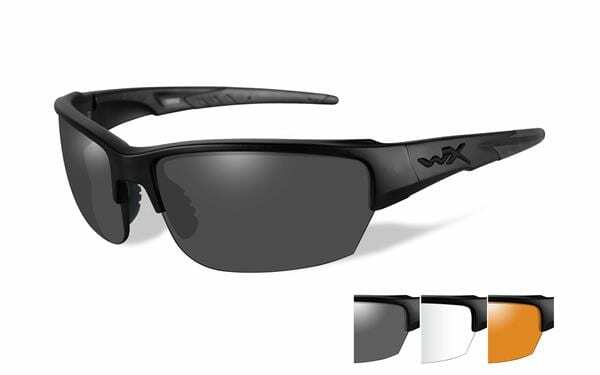 Wiley X Saint’s Interchangeable Sunglasses combine performance driven optics into a sleek, protective style for everyday needs, especially if everyday consists of running, working out, and pushing the limits in the outdoors. Wiley X’s Smoke Grey lenses block up to 85% of incoming light and 100% of UVA/UVB rays, block glare, and provide superior impact resistance. An interchangeable lens system allows you to replace the Saint’s lenses with others in seconds. Wiley X paired these stunning optics with an equally impressive frame made of Wiley X’s impact-resistant thermoplastic. The frame also features double injected temples and nose bridge for a secure and comfortable fit. With the Saint’s Shatterproof Selenite™ Polycarbonate Lenses, you can be sure that they will take the abuse of a branch to the face while on a quickrun on the trails or even stand up to a long weekend suffer-fest in the mountains. If your everyday runner could use a bit more comfort and support, consider picking up the Sole Active Thin Footbed, and put your foot down against uncomfortable, unsupported feet. Made using a Polygiene® odor control technology and a moisture-wicking topsheet, this bulk-free footbed provides comfort in any situation. This footbed is best worn in tight-fitting footwear such as cycling shoes, cleats and running shoes. Trim these insoles to fit and slip them into any running shoe to boost their support and deliver cushy, breathable comfort. As one of the newest offerings in the lineup of Altra’s shoes, the Solstice Running Shoe makes its case as a daily driver with its lightweight and responsive ride and Altra’s dependable silhouette. 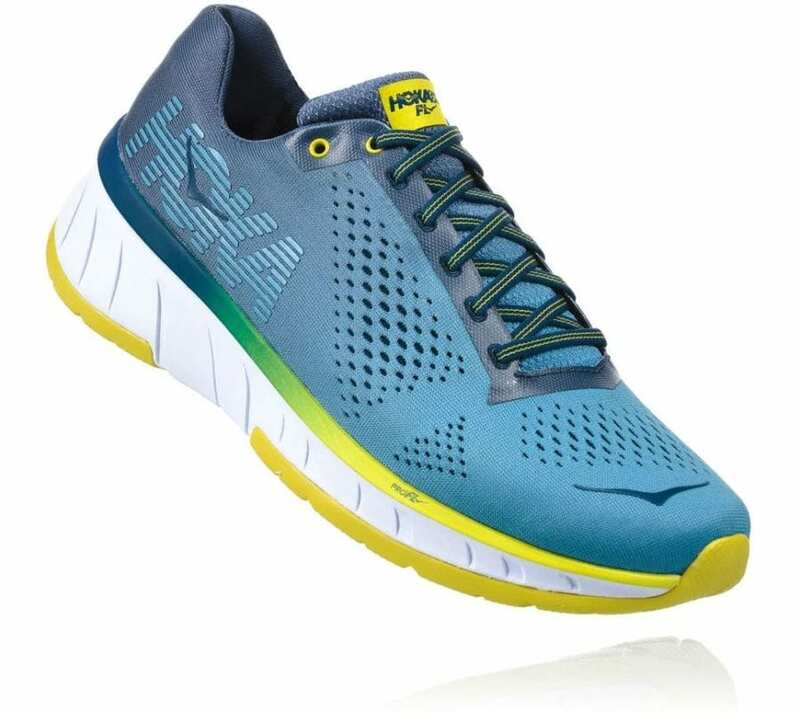 Looking for a lightweight FootShape, Zero Drop shoe to get you on the road? Look no further. The Altra Solstice will be the perfect fit. It is nimble, good looking and affordable. The pleasing colors of the knit upper are catchy, while the midsole offers a firm ride. The outsole is durable for everyday wear, on the run or just around town. If you have wanted to try Altra’s signature FootShape, ZeroDrop comfort without paying standard price, this is is the perfect shoe to get you hooked. Treat your feet to a little luxury on your next run with the Hoka Cavu Running Shoe. If you’ve seen these eye-catching kicks around town before and wondered why anyone would want to run in something so clunky looking, don’t knock a Hoka until you try it. Weighing in at an astonishingly light 8.2 oz, and featuring seamless breathable mesh uppers, the Cavu packs serious lightweight cushioning into a surprisingly nimble package. Made for those who run, but don’t just run, CAVU offers a versatile running shoe with a bold and simple look. A little lower, and a little lighter than its category mates, Cavu features HOKA ONE ONE’s much lauded ‘intelligent’ PROFLY™ cushioning—softer in the heel for shock absorption, and firmer in the forefoot for propulsion and energy return. That responsiveness is further enhanced by the outsole’s zonal RMAT®. 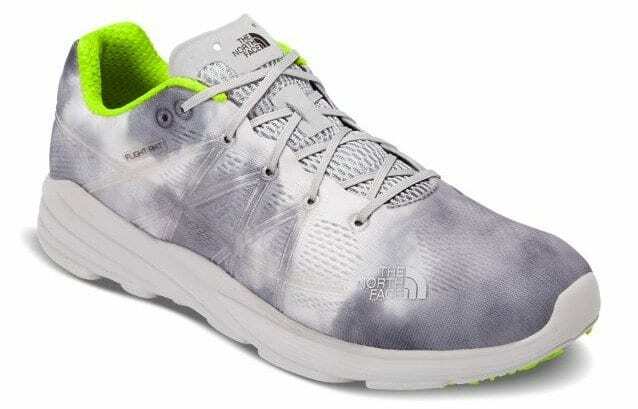 Employing a seamless, engineered mesh upper, this shoe really disappears on the foot delivering a smooth, light ride. 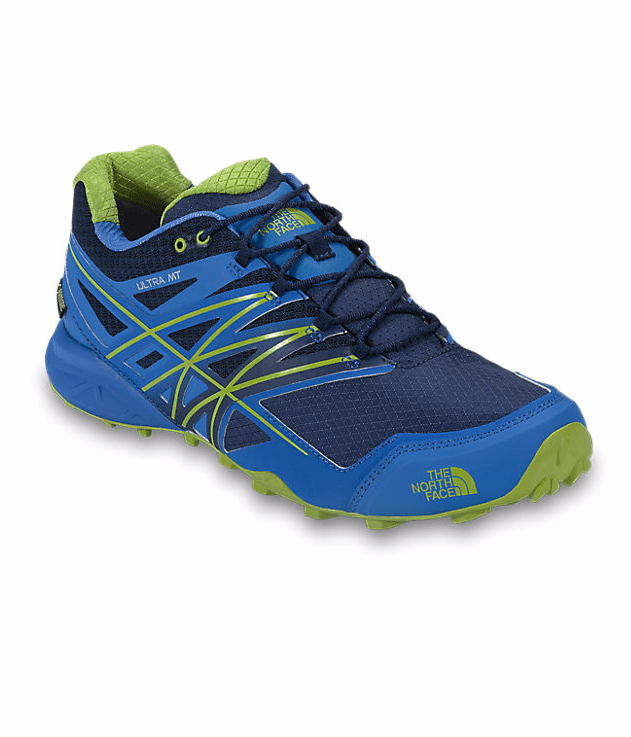 Work your way skillfully up loose rock filled trails, fly along smooth stretches of single track, and dance down steep, technical descents in The North Face Flight RKT Running Shoe, and you’ll see why it’s garnered some impassioned attention from the running world. With an engineered mesh upper hugging your foot like your favorite pair of socks and an OrthoLite footbed, the RKT aspires for all-day adventures and fast runs on the trails. The midsole bolsters energy return, shock mitigation, and a springy feel; without making you feel as though you’ve got a dead weight attached to your foot. The OrthoLite footbed encourages a natural, efficient, and repeatable stride, while the Southwest-inspired design gives the RKT it’s originality. Traverse the toughest terrain in no time with ultralight, race-ready trail runners designed in collaboration with TNF ultrarunner Rob Krar. 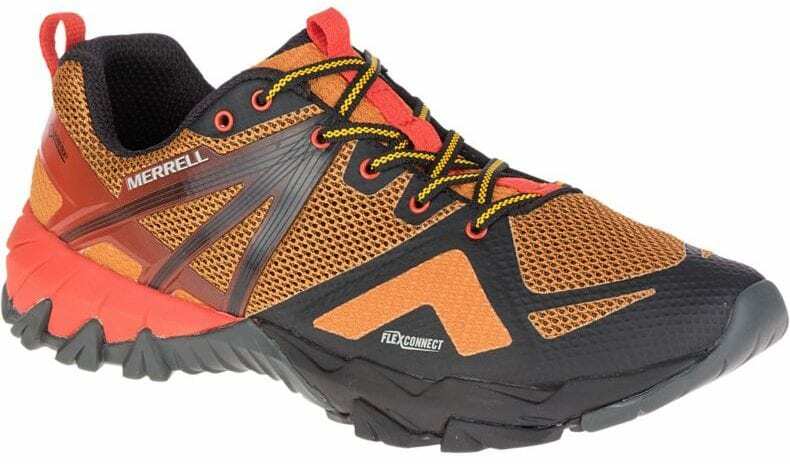 This spring, blast through your favorite stretches of trial with Merrell MQM Flex Gore-Tex Shoe supporting your feet on every root and rock standing in your way. Designed for the days when the weather doesn’t cooperate but you want to run anyway, the MQM Flex comes with an added Gore-Tex lining to shield your feet from the rain. By keeping your toes dry, the MQM Flex prevents blisters and chafing when you’re stomping through puddles or striding through a surprise shower. Even though the Gore-Tex liner blocks water, it doesn’t prevent air from moving through the shoe while you sweat. Instead, it works with the shoe’s breathable uppers to ensure your feet can breathe on your most humid runs. Merrell also continued its design for wet trails into the tread profile, shaping the lugs to dig in and hold onto slick, inconsistent surfaces so a little mud doesn’t force you to slow down your pace. Inspired by athletes and made for you, this hybrid packs all the technology needed for Moving Quickly in the Mountains™ into one fast, protective shoe. Move through steep lines on just this side of your comfort zone knowing you’re stable and in control in the Scarpa Spin Running Shoe. This rugged mountain runner was bred for burly, technical single track, with a Vibram MegaGrip rubber outsole prepared to take on rock and scree fields without hesitation. A strategic arrangement of lugs dig in and hang on so that you can keep your focus on what’s ahead, while Scarpa’s EVA-CM midsole trusts your foot’s natural instincts, supporting it rather than correcting it, to encourage an effortless stride. A High-Density Rock Plate protects against the rocks and logs you’ll encounter out on your run, while EVA midsole helps keep some extra bounce in your step during those high-mileage leg grinders. The Spin’s upper was built to put the handle on rugged terrain thanks to a combination of a mesh/polyester and welded overlays to help add support. With more cushion and protection than the Atom, but a lighter, lower-profile design than the Neutron, the new Spin is the Goldilocks of Scarpa’s Alpine Running collection, for those who want both support and simplicity on rugged trails and craggy ridge lines. 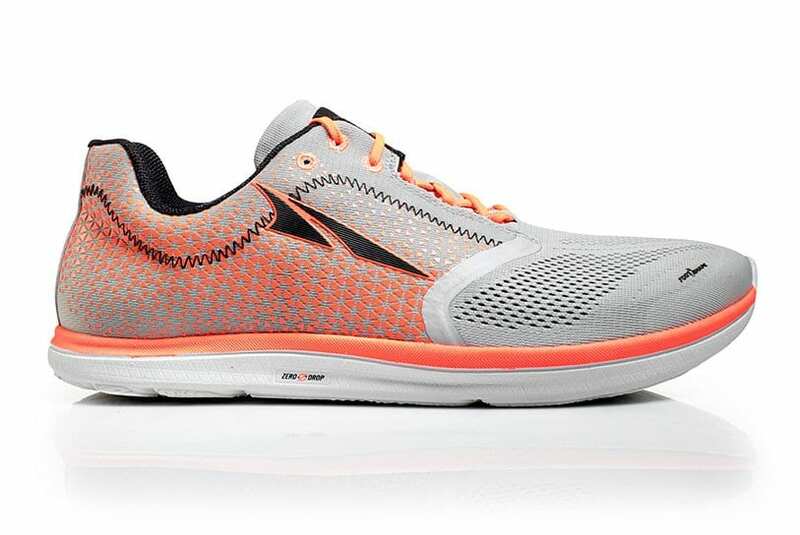 Previous story ENKO Running Shoes – A New Revolution in Running?